Once a smart home system moves to a multi-resident situation, it becomes significantly more important that individuals are tracked in some manner. By tracking individuals, the events received from the sensor platform can then be separated into different streams and acted on independently by other tools within the smart home system. This process improves activity detection, history building, and personalized interaction with the intelligent space. Historically, tracking has been primarily approached through a carried wireless device or an imaging system, such as video cameras. These are complicated approaches and still do not always effectively address the problem. Additionally, both of these solutions pose social problems to implement in private homes over long periods of time. 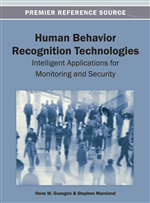 This chapter introduces and explores a Bayesian Updating method of tracking individuals through the space that leverages the Center for Advanced Studies in Adaptive Systems (CASAS) technology platform of pervasive and passive sensors. This approach does not require the residents to maintain a wireless device, nor does it incorporate rich sensors with the social privacy issues. Smart homes are providing an ever more important suite of tools for home care. From simple assistive tools to complex contextually aware interactive personas, smart home technology has penetrated many parts of the medical community. These tools rely on various sensors, artificial intelligence algorithms and human intelligence to operate. Most often the tools are geared towards recognizing the Activities of Daily Living (ADLs), with the purpose of providing historical and instantaneous feedback about the residents’ behavior. Any improvements to these tools in recognizing ADLs is welcomed by care practitioners and the residents themselves because it gives them a more accurate day to day picture of the residents’ situation (Skubic, Alexander, Popescu, Rantz, & Keller, 2009). Currently, the latest in smart home technology has trouble operating with low profile, privacy aware sensor platforms. These sensor platforms are designed to minimize effort on the part of the resident while maximizing privacy at the cost of sensor granularity. The goal of research in this area is to make use of this reduced sensor information to still build systems capable of providing quality assistive technologies. As an added hurdle, the smart homes are often deployed where there is more than one resident dwelling in the space. Even visitors and care providers make it difficult for the smart home system to determine which person currently in the space caused a given event and attribute it appropriately. Without that ability, ADLs become much more difficult to detect through the noise in the data and individual histories are impossible to obtain. Carried devices or tags are commonly done via RFID (Cook & Das, 2007; Naeem & Bigham, 2009; Choi, Lee, Elmasri, & Engels, 2009) or a wireless device carried on ones person (Hightower & Borriello, 2001; Luo & Chen, 2009; Navarro-Alvarez & Siller, 2009; Diaz, Maues, Soares, Nakamura, & Figueiredo, 2010). The device or a base station of some sort reports the current location of the device to the central system. This has been accomplished using PDAs, cell phones, actigraphs, custom built RF devices, etc. While these kinds of systems work, it does require that every individual in the space keep and maintain their personal device at all times. It is easy for the residents to forget their device, have the batteries run down or not even want to have it. Additionally, guests need to be issued a device whenever they are in the space to ensure they are accounted for. In many environments this is a feasible solution, given the manpower to maintain it. For example, hospitals and full time care facilities are often able to make use of such systems. In private homes or understaffed situations, it becomes a less feasible solution. For video biometrics, one or more cameras are placed around the monitored space. These cameras capture the current residents for tracking and processing (Libal, Ramabhadran, Mana, Pianesi, Chippendale, Lanz, & Potamianos, 2009; Menon, Jayaraman, & Govindaraju, 2010). The goal is to interpret the video data to identify individuals, detect ADLs and give more context to item interaction. While these tools are often very good at meeting these goals, they bear the overhead of expensive cameras and the privacy concerns of the residents. Asking individuals to have 24 hour video monitoring in the homes can be difficult. While some may be willing to accept such an intrusion, many others will not (Demiris, Hensel, Skubic, & Rantz, 2008; Klasnja, Consolvo, Choudhury, Beckwith, & Hightower, 2009).